About Us_About Us_Giant Hydraulic Tech Co., Ltd. Giant Hydraulic Tech Co., Ltd Anhui, a National Hi-tech Enterprise established in April 2000, is specializing in developing and manufacturing hydraulic breaking & demolishing attachment and equipment. 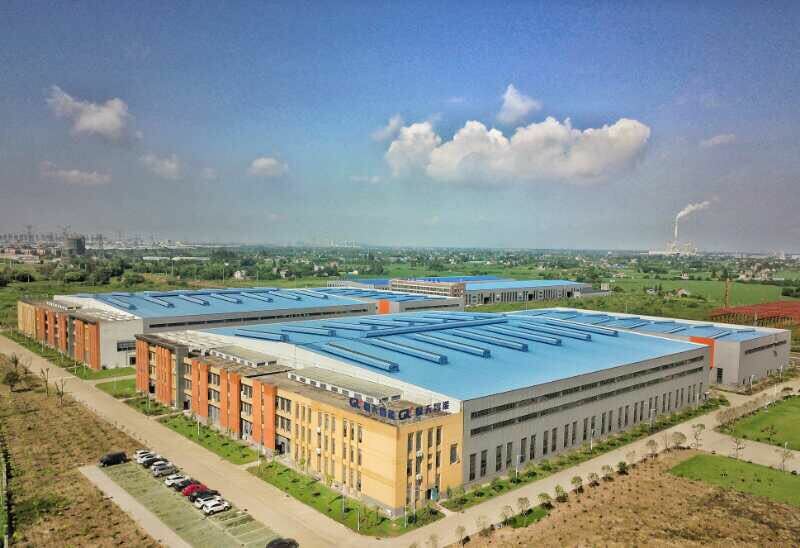 At present, it covers 60,000 ㎡ with more than 400 employees, with RMB30,000 millions total capital and more than 100 sets of various precise processing machines. It is a medium-sized manufacturing enterprise with high modernized productive ability and R&D capability. With the developing concept “Technology based and sustainable innovation” and developing strategy “Vibration as he core technology and hydraulic breaker as the core product, devote to be the Chinese characteristic industry for demolition attachment” Giant company follow the industry trends, fully committed to the R&D and manufacture of hydraulic breaking & demolishing attachment and equipment, and form 3 kinds of characteristic products, “Hydraulic breaker leads the excavator attachment series”, “Boom system represents hydraulic demolition equipment series” and “Demolition robot based for high power multi-function intelligent robot”. The breaker and robot have been named “National Key New Product” and classed “National Key Torch Plan”, a number of products fill the gaps in domestic market and a number of R&D research achieve the international advanced or domestic leading level. The provincial hydraulic vibration Engineering Research Center, owned by Giant Company, is the only specialized technology center in researching and developing hydraulic vibration technology and product. Giant Hydraulic Tech Co., Ltd Anhui, a National Hi-tech Enterprise established in April 2000, is specializing in developing and manufacturing hydraulic breaking & demolishing attachment and equipment. 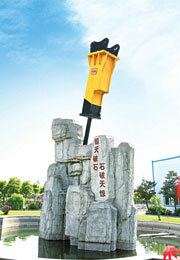 Giant company follow the industry trends, fully committed to the R&D and manufacture of hydraulic breaking & demolishing attachment and equipment, and form 3 kinds of characteristic products, “Hydraulic breaker leads the excavator attachment series”, “Boom system represents hydraulic demolition equipment series” and “Demolition robot based for high power multi-function intelligent robot”. The breaker and robot have been named “National Key New Product” and classed “National Key Torch Plan”, a number of products fill the gaps in domestic market and a number of R&D research achieve the international advanced or domestic leading level. We have exported to more than 40 countries since 2005. And we have won very good reputation from our customers，Especially our boom system is well received by mining companies in Australia and South Africa.